Carly O’Halloran Alameda represents clients in a variety of business litigation matters with an emphasis on complex breach of contract and business tort claims and real property disputes. 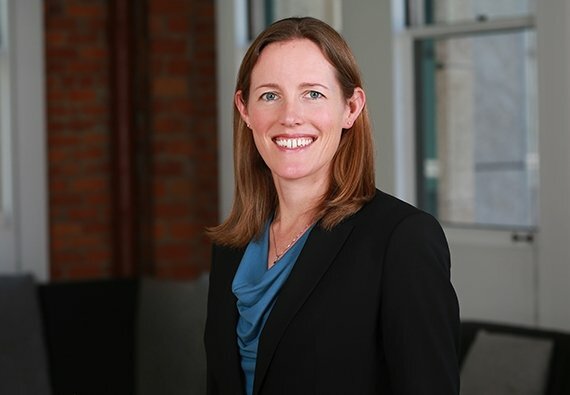 Her practice includes representing clients in California state and federal courts, as well as in alternative dispute resolution processes, including AAA, JAMS, and ICC arbitrations. Ms. Alameda’s strategic and practical approach to litigation is influenced by her role as a board member of Mammoth HR, an HR consulting company. Beyond simply litigating a case, she understands how a dispute fits into a client’s business strategy so that she can effectively achieve the most favorable result. Achieving award on behalf of manufacturer in six week ICC arbitration related to failure of critical components in a nuclear power plant, in which the contractual limitations of liability were successfully enforced, the opposing party’s damages claims in excess of $7 billion were rejected, and our client was granted a fee and cost award as the “prevailing party” of over $58 million. Obtaining a multi-million dollar settlement on behalf of a solar company days before the AAA arbitration hearing began, in a dispute regarding improper installation of solar farm equipment. Winning an arbitration award, as part of a trial team in a case involving disputed purchase options and a multimillion-dollar real property transaction. Successfully resolving a significant dispute regarding a party’s right to indemnification that turned on a gross negligence exception. Defeating certification in a nationwide class action for a consumer products company that faced damage claims of more than $50 million. Ms. Alameda’s practice also includes both state and federal appellate work. While earning her B.S. at Cal Poly San Luis Obispo, Ms. Alameda was an NCAA Division I volleyball player. A competitor at heart, but a team player first, I’m a litigation partner who helps businesses navigate complex breach of contract and business tort claims and real property disputes.